Why digital reputation matters and how to influence it? HomeAd words ManagementWhy digital reputation matters and how to influence it? A company’s reputation, both online and offline, is one of the valuable assets. In a diversified online forum like the internet, the reputation of the business becomes even more critical. One common thing among most the companies today is that their customers adore them. This is usually witnessed by the ratings and reviews online that become an important aspect of brand reputation. Recent surveys reveal that nearly 61% of consumers check online reviews before making a buying decision. According to one research, 88% of consumers read reviews to determine the quality of a business. Online reputation has proved well as a significant factor to have influenced businesses worldwide. For instance, many professionals abet to the recommendations on their social profiles like LinkedIn. These recommendations help businesses in considering someone for a project. Reputation management professionals use influencers to bring to light your brand and convey to a large group of consumers. Statistics have shown that 74% of people refer to social media for advice on buying decisions, and 49% of people say they believe in suggestions from influencers when making buying decisions. The online reputation can empower a company to outline its products and services in highly competitive markets, allowing it to have excellent pricing strategies, and can influence a customer to decide to be a client of their business over another. The “2017 US Reputation Dividend Report” has demonstrated that investor confidence stems from a firm’s reputation which further drives shareholder value. In fact, one out of every five dollars of market capitalization is a product of the confidence imparted by a company’s reputation which makes to approximately $4.6 trillion in the first half of 2017, as per the data. Businesses are at risk of losing 22 percent of business when potential customers find one negative article on the first page of their search results. Three negative articles can cause that number to jump to 59.2 percent. According to a recent survey, 97% say online reputation management is important to their business, 98% say online reviews are important to their business and 92% say social presence is important to their business. Company’s reputation on review sites or 3rd party local directories like Yelp.com plays an important role in Google’s algorithm. About 13% of Google’s entire search algorithm is driven by review signals like the ones you’ll find in a business’ Google reviews. How can you influence your online reputation? The Online presence of your company on other sites will not only offer a different overview of your company, but they’ll also pick up more space in organic search results. This indicates that if you experience negative media coverage, searchers will eventually be able to see positive coverage as well. This would help your business show up higher in search results. Business certainly don’t want to risk their credibility with their customers so by participating actively on various social media platforms like Facebook, Twitter, LinkedIn, Instagram, they can build a communicative network and a community of loyal customers who will be become their biggest brand ambassadors. According to the statistics, more than 70% of consumers would recommend the brand to their friends and family on social media if they had a positive experience. 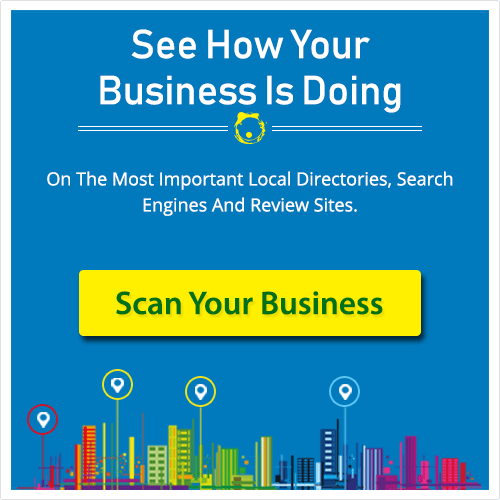 It’s vital to get a business listed on all applicable online directories. According to a March 2017 survey of US internet users conducted by Burke for the Local Search Association (LSA), eight out of 10 respondents said a search engine was their top choice among a collection of digital and non-digital sources to look up information for local businesses. are more important than ever, with 93% of consumers reading reviews to decide if a business is good or not. Most prominent social and review Sites for Small Business are Google, Yelp, Instagram, Twitter, Facebook, TripAdvisor, and Foursquare. With the aim to target trust, sincerity, and constancy from customers, companies can build customer interactions online and in person that enhances their digital reputations. 53 percent of customers expect businesses to respond to negative reviews within a week. But 63 percent say that a business has never responded to their review. Press release is the elemental part of any company’s marketing strategy. Press releases can also boost sales or attendance by drawing attention to a new product or service, or to an upcoming event. By using specific keywords relating to your business and is also a good way to improve your brand image. 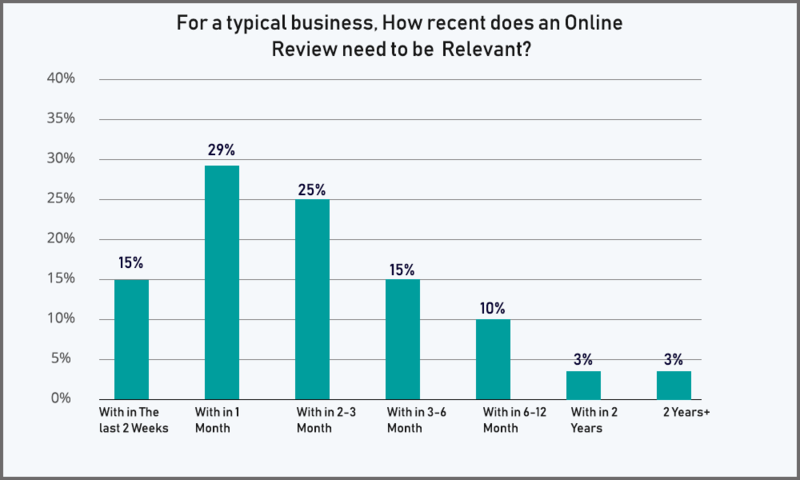 A recent study has shown that 69% of consumers today, believe that online reviews older than 3 months are no longer relevant. Consistency is the best friend to recency. You may have a couple recent reviews, but it may look odd to the potential customer if you don’t have a steady flow of reviews coming in. If you don’t enthusiastically monitor and perk up your online reputation, you’re missing out on a vast opportunity to nurture your brand, earn social proof, and drive new business. Online reputation management brings balance, prevents misleading trends, and supports you to put your best foot forward. What Can You Do To Safeguard Your Online Reputation?